We understand that some rides are more about smiles than miles and more about cafe stops than time on the clock. We made the Tempo to offer riders a technical jersey in a relaxed fit for rides that are more beer garden than pain cave. 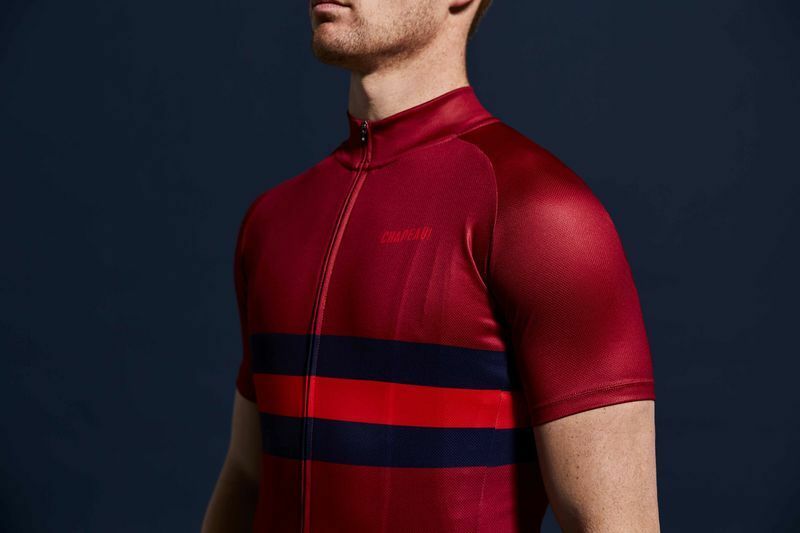 When we designed the Tempo we wanted to offer a garment in a technical fabric that would still function when worn in a more leisure riding fit. The Tempo's fabric is quick drying but has less stretch for a more regular fit, but engineered to make sure the rear pockets don't sag when loaded up with ride essentials. 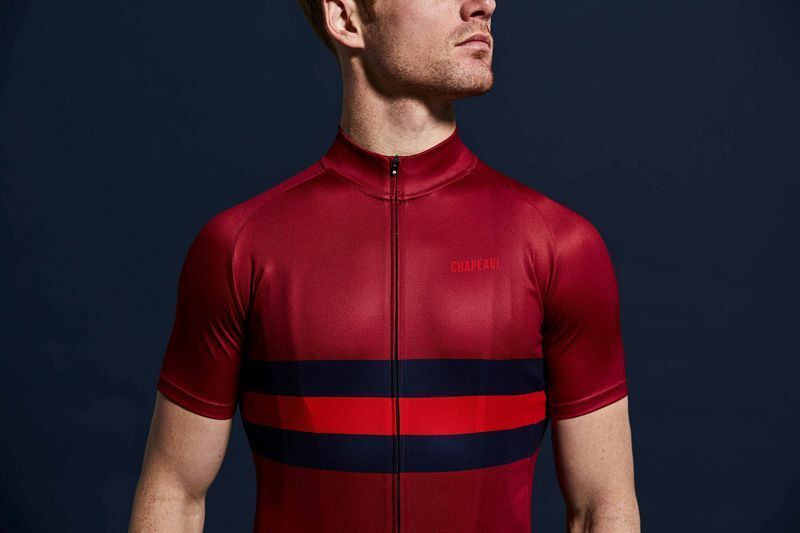 The Tempo is a stylish jersey available in a broad range of colours featuring a classic chest stripe. This is James, he is wearing a Small Tempo Hoop Stripe Jersey, Medium Club Bibshorts and our Tall Club socks.